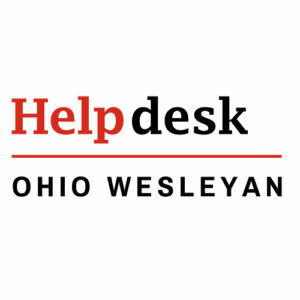 Self-Service at Ohio Wesleyan University lets students give selected relatives online access to key information. Students can grant permissions to view the following: Academic Plan, Address, Balance, Financial Aid, Grade Report, Schedule, and Stop List. This lets the student’s relative login with a username and password to access shared student information 24/7. Parents with multiple students enrolled at OWU can see information about every student who has invited them to share access from the same Shared Access account. How Do I Grant Access? Verify the Email Address (*This step is critical, see bold text below) If there is no email address shown, then the invitation will be sent to the other party in care of the student’s email address. Click “Send Invitation”. This will send an email invitation to the other party. * The invitation will be sent to the email address displayed in step 6. 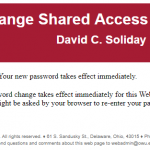 An incorrect email address may allow unintended access to your account. You are responsible for granting this access so be sure that the email address is correct. remains on that screen even after the invitation is accepted. The invitation is separate from the account. Invitations have a limited duration, can be revoked and reissued by the student. Once an invitation is confirmed, the shared access account is created, and is persistent until revoked by the student. How Do I Remove Access? To add or remove access, or to delete access completely for a specific user, you can click on “Manage User Access” and make the appropriate changes. To revoke all access, click “Delete User”. You will receive a confirmation email when an account is deleted. You are responsible for maintaining your shared access accounts and reviewing, adding, and removing access as appropriate. Click here to change your password. You must know your current password in order to log in. If you don’t know your current password, or it’s not working, contact us. How Do I View My Student's Information? When the student grants access, you will receive an email with a confirmation URL that you must click on to activate the account. Within 24 hours of activating the account, you will receive a second email with your login information. The message will be from webadmin@owu.edu (*current OWU employees please see the note in bold below). 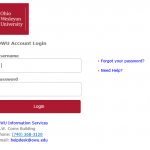 Login with the information provided in the email. Click on “View Student Information”. Select the appropriate link for the information desired. 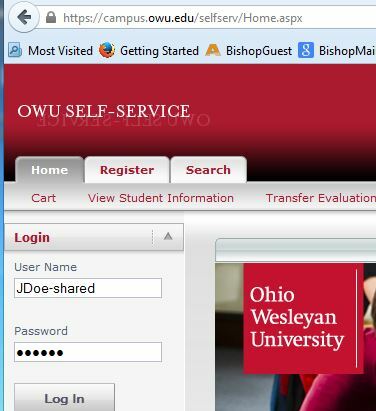 * Please note that if the relation already has an active Self-Service account (such as a parent who is also an OWU employee), they will be able to login with their OWU BishopApps credentials immediately after clicking the confirmation email and will not need additional information. 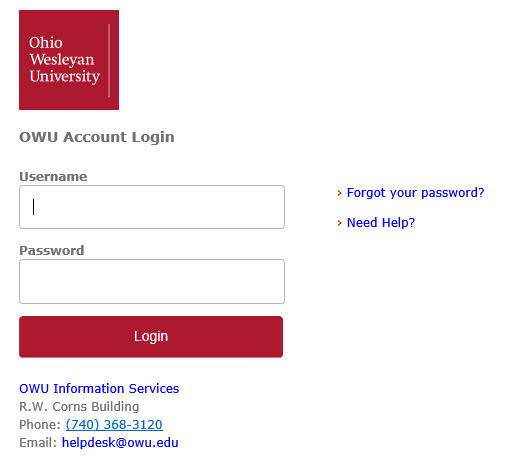 ** Parents with multiple students enrolled at OWU can see information about every student who has invited them to share access from the same Shared Access account. What Balance Info Can I See? Clicking the Balance link will take you to the TMS Student Account Center. On the Summary page it will display the current balance by semester and total amount due. Note: Parentheses around any number means a credit. The account activity and summary balance due are realtime and always current. There are other tabs: Account Activity displays transaction detail. This defaults to all dates but can be changed to display by term. The Statements tab will list all statements that have been posted. If you click on the statement that you want to view a red “View Your Bill” button will appear. Click this button to display the statement. Note: Any transaction with a negative sign in front of it or parentheses around it is a credit or reversal of a charge. Remember the statement is as of the date if was created. The Payment Plan tab allows you to enroll in the monthly payment plan or displays the plan in which you are already enrolled. 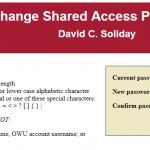 If a parent with multiple students needs to have her password reset, then all students who have granted shared access will have to rescind that access. Otherwise, the original account will remain intact but will show information only for the students who have not rescinded access. Only after all access has been removed should one or more of those students re-invite the parent to share access, at which point a new account can be created. Students will find instructions above for removing and granting access.